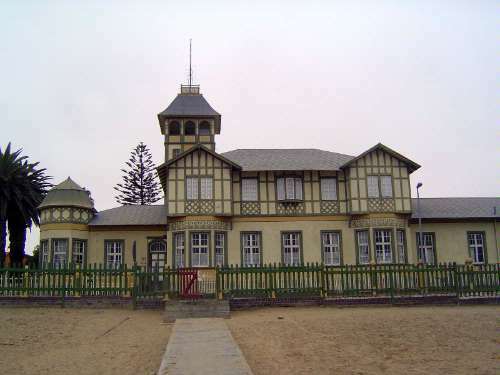 The Woermann House, in quasi-Tudor Fachwerk style, was built in 1894 (and extended in 1903) by the Damara and Namaqua Trading Company, later called Woermann, Brock & Co. The company ran a monthly steamer to Hamburg, and the tower here was both a lookout and navigation aid. After World War I, the building was taken over by the government, which ran it as a school hostel until 1972. Now it's a library and art gallery.